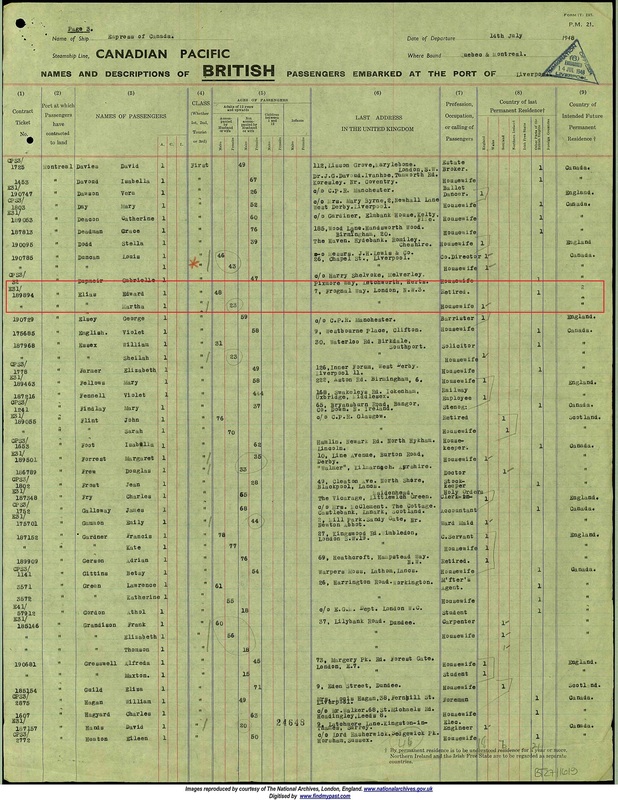 Other Family Data Siblings: Flora Kate “Mimi” Hayim, Frederick Sassoon “Freddie” Elias (2F2), Vera Hannah Elias Levy, David Elias, Reggie Marcus Elias, Arthur Emanuel Elias and Veronica “Ronnie” Elias. There may have been another sibling named Elles Elias. Brother-in-law: Ellis Joseph Hayim (2G24). 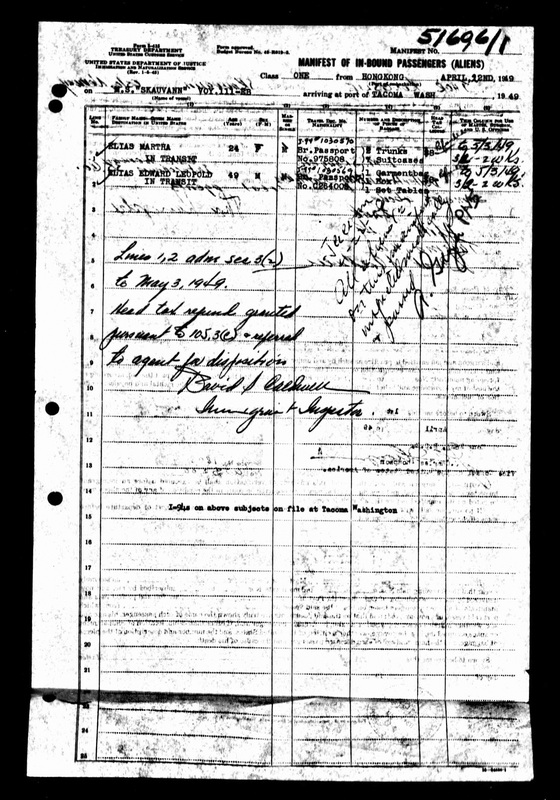 According to the Carl Smith archives, they had a daughter named Clara Elias. 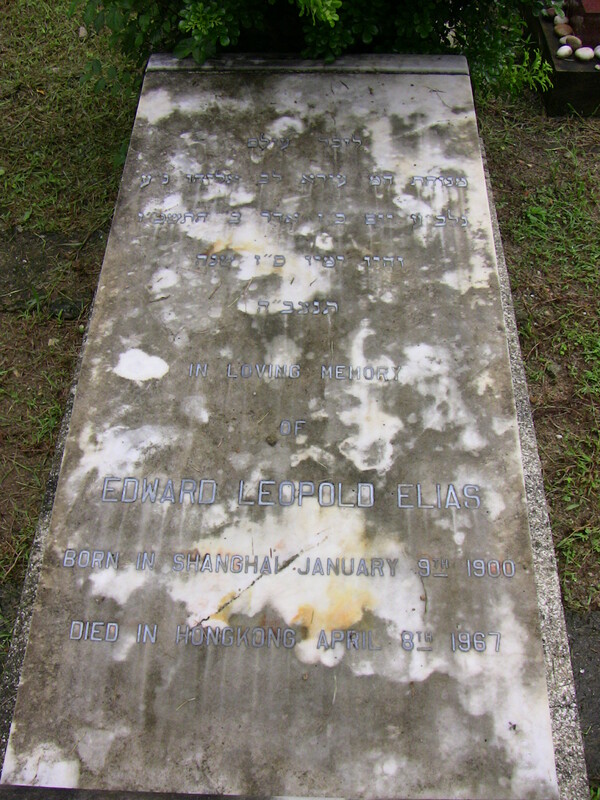 Historical Main inscription is for Edward. 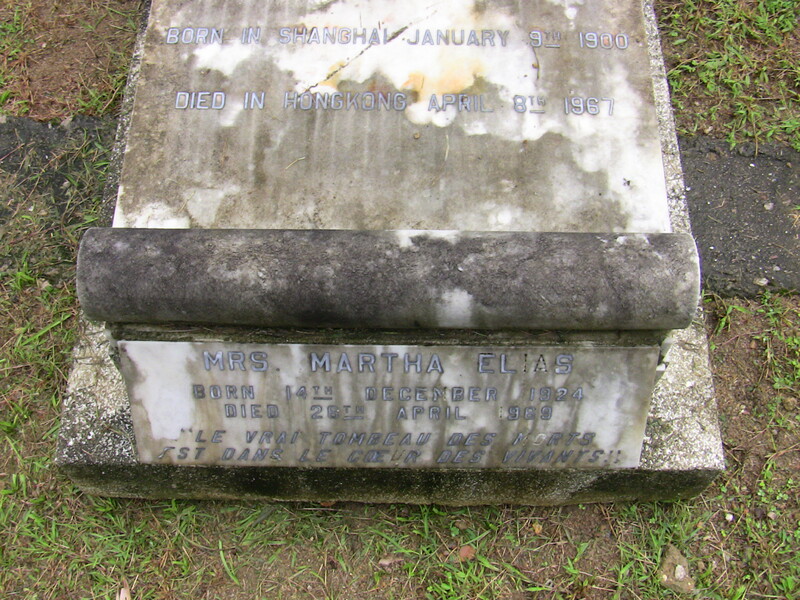 A small plaque is appended to the front of the slab for Martha. Martha may have committed suicide in Macau. He was a member of the Shanghai Stock Exchange. Before the war, he owned a string of racing horses. The Japanese imprisoned him for three years. After his release, the family went to Canada but moved from there to Hong Kong in 1954.